Straight Talk is a peer health education training program which trains participants from a targeted population to be peer health educators and to recruit their peers for HIV/STI testing. 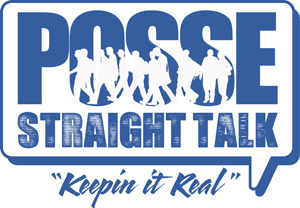 Participants are trained in HIV/STI basics, cultural competency, outreach techniques in the program obtain hands on experience in the community by working alongside POSSE to educate individuals and recruit them for testing. In partnership with the Winston-Salem Urban League, participants are provided job readiness training including resume writing, interview skills, and computer skills. What Is a Peer Health Educator? Advocating for changes in community policies and procedures which support community health. Peer Health Educators are expected to serve as leaders and role models in their efforts, and to serve as an extension of the professional staff. Enter your zip code below to find the closest HIV testing center to you.